← People are not wearing enough hats.. The most work on this cardigan was done during Christmas holidays, but somehow this project had waited for finishing touches till June..
Now when it’s finished I can’t wear it even for a photo session – it’s too hot! The front piece with the tree and an owl on a branch came up very quickly. The back, however, didn’t come easy: I had to unravel it a few times and make it again and again until I was happy.. The picture below renders the colour of the cardigan closest to reality. It’s not that rainbow coloured as on other pictures.. I used “camel brown tweed” from Ice Yarns bought online on winter sale. 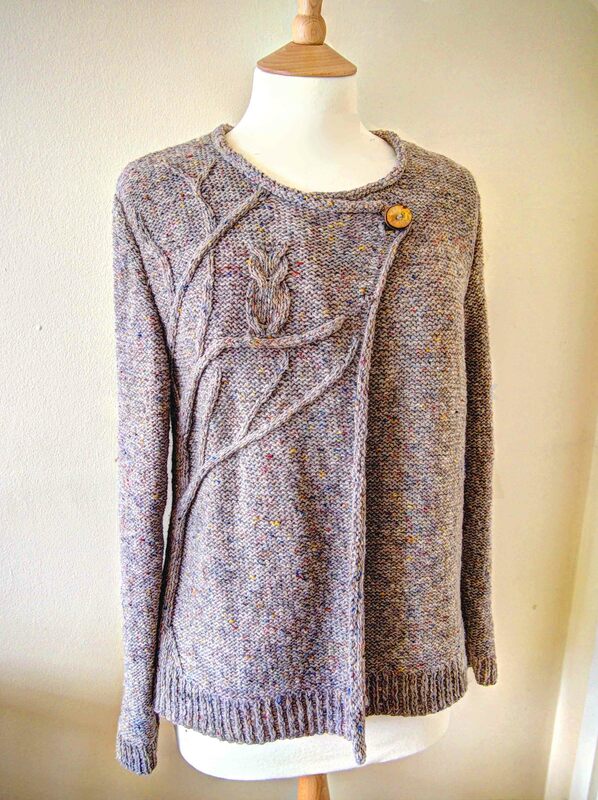 It’s 40% wool, 30% viscose and 30% acryllic. Very nice yarn, although very fine, so I knitted with two strands of yarn at once..
I’m quite happy with my owl project and hope to have some wear of it in autumn..
Love it so much! You are very clever! Exquisite! 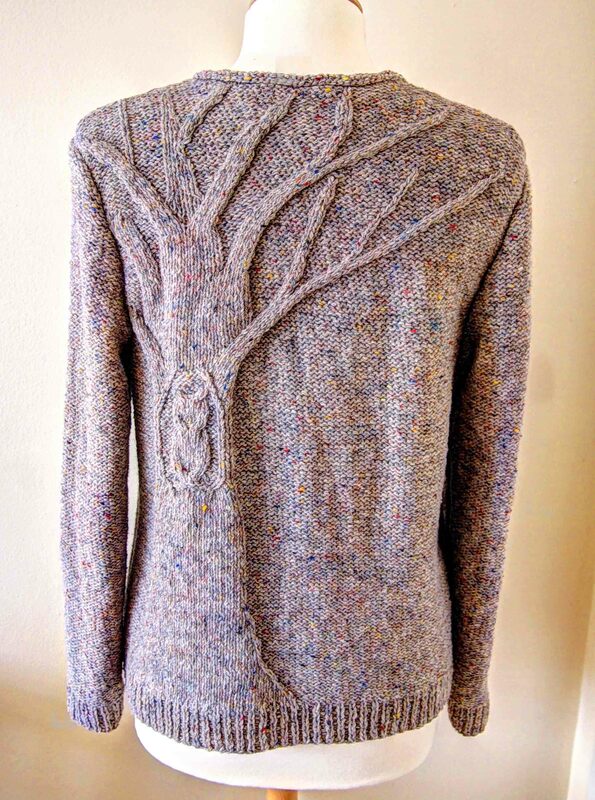 You and I are following each other – I just bought some wool yesterday with plans for a A/W cardigan but my knitting skills are no where near this. It’s probably heavy enough to use as a coat. Like my Burda jacket, it’ll be nice for us to have something in the wardrobe to soften the blow of the the summer over! Thank you Marianna! I am more experienced in knitting rather than sewing.. I would love to be as skilled as you in sewing though..
A truly stunning piece of work. I hope you gets lots of pleasure wearing this – you will certainly get lots of compliments! This is stunning – a really beautiful design. I love how you took inspiration from the owl sweater and turned it into something so unique! 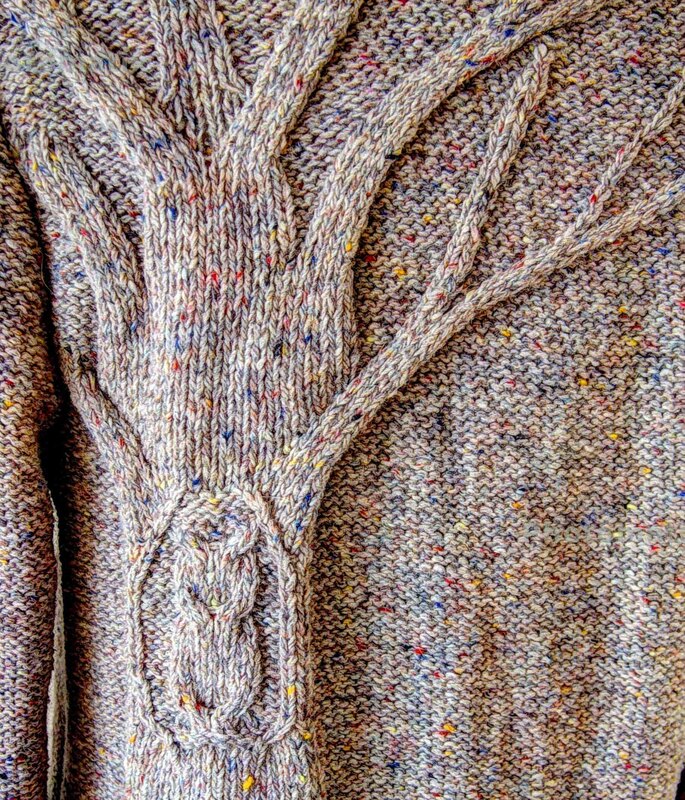 What an impressive sweater — I am truly in awe of your knitting/knitting pattern designing skills!! It looks very special, I hope you will post a picture of you wearing it when it gets cooler, I am sure it looks fabulous on you. 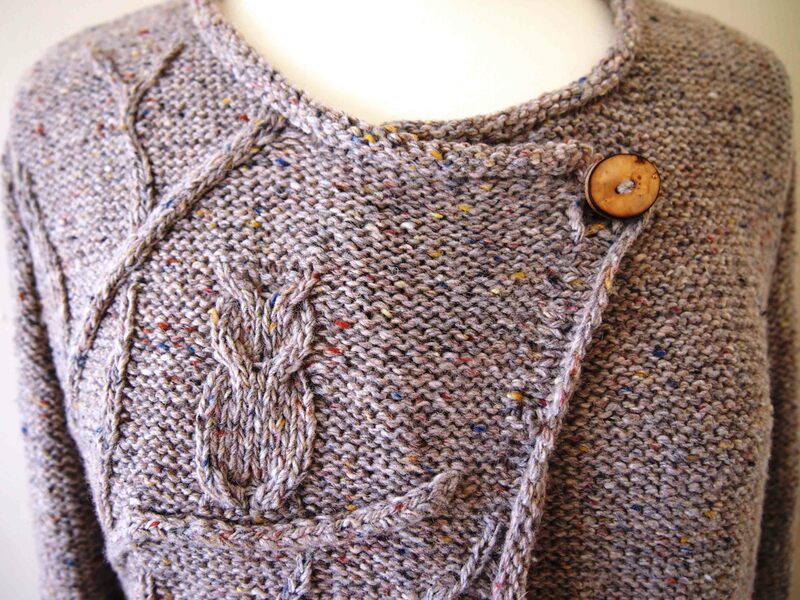 Gosh – your cardigan is amazing. What a difficult project. 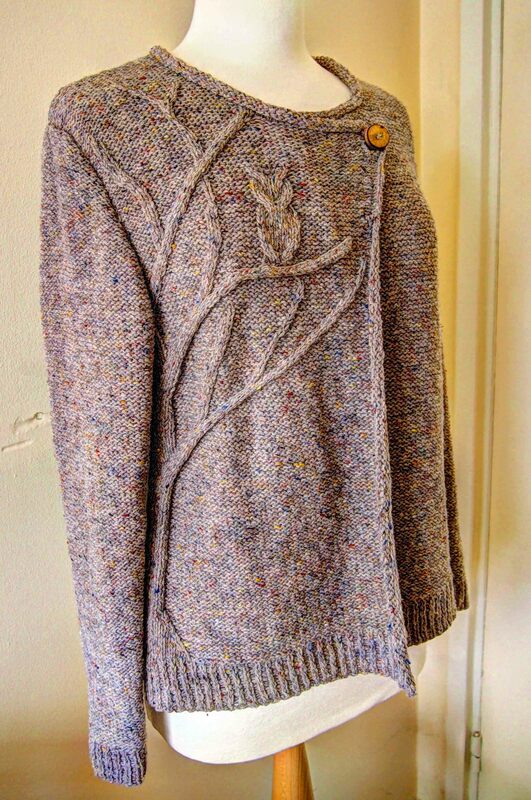 I have started the Owls jumper but I got the sizing wrong, and I am not much of a knitter, so it is sitting in my office, making me feel guilty. I am very impressed and look forward to seeing what you put with it once this amazing summer weather finally subsides. Well done! Wow this is so impressive!! Well done. So impressive! Congrats! by chance you have the pattern, or something, with that tree? I’m in love!!! congratulations again! My goodness! This is amazing! You made a fantastic design! Super impressive and beautiful.